In the next release of ExamDiff Pro, we will be unveiling an updated user interface with a greatly improved and modernized look and feel. 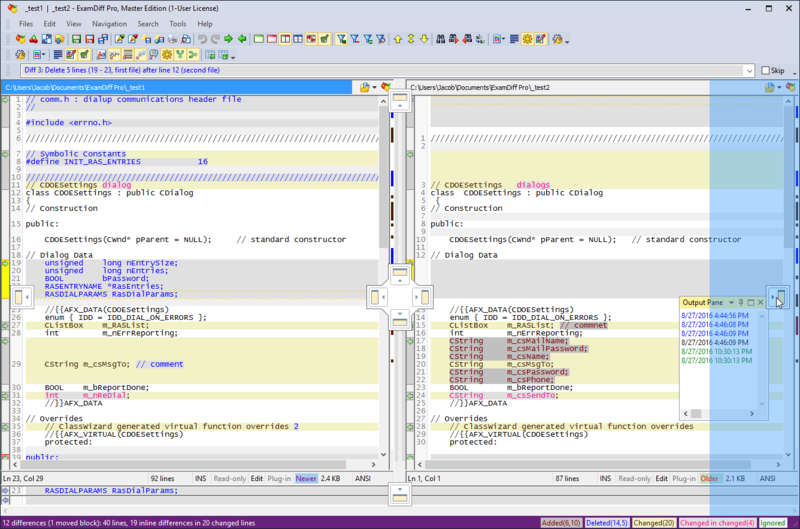 Along with a generally enhanced user experience, ExamDiff Pro 9.0 will feature multiple, movable toolbars, better customization options, and a new output log pane. One of the key components of the UI redesign coming in version 9.0 is the addition of multiple customizable and easily configurable toolbars. These toolbars can be dragged horizontally and vertically to suit your needs. 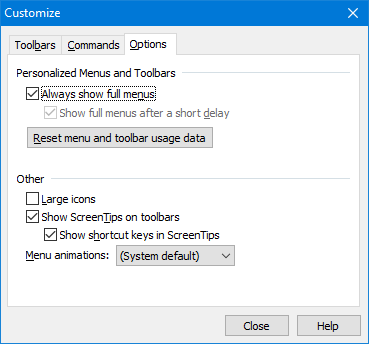 In addition to moving and dragging the toolbars, you can select which toolbars to display simply by right-clicking anywhere in a toolbar and checking or unchecking the toolbars you want to see. By selecting Customize in the right-click menu mentioned above, you can also further manipulate the toolbars available at your disposal. 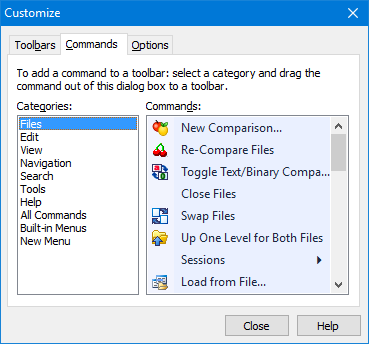 In the Toolbars tab, you can create, remove, and rename toolbars, or reset to the default configuration. 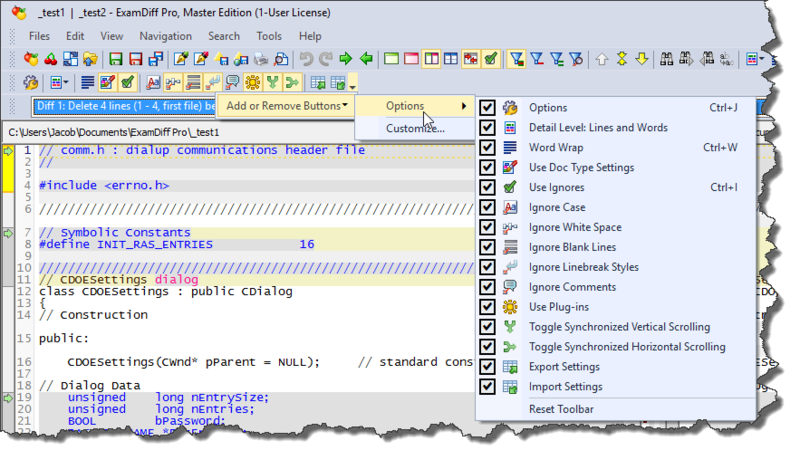 In the Commands tab, you can choose specifically which commands you would like to display within each of your toolbars. In the Options tab, you can choose how to display the menu and icons. 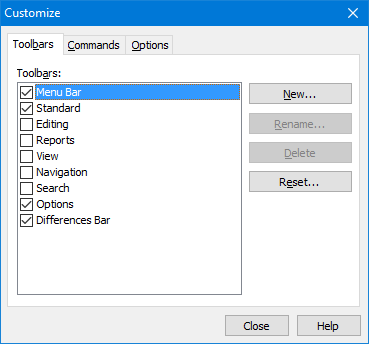 In addition to these new toolbar and menu customization options, by clicking the arrow to the left of each toolbar and selecting Add or Remove Buttons you can quickly customize the commands that appear in your toolbars on the fly. 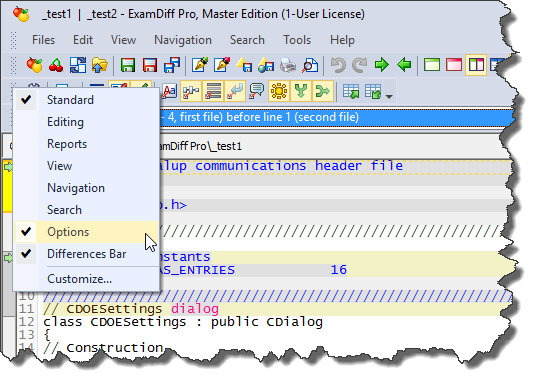 The final addition to the new ExamDiff Pro interface is the Output Pane, which shows ExamDiff's new logging coming in ExamDiff Pro 9.0. 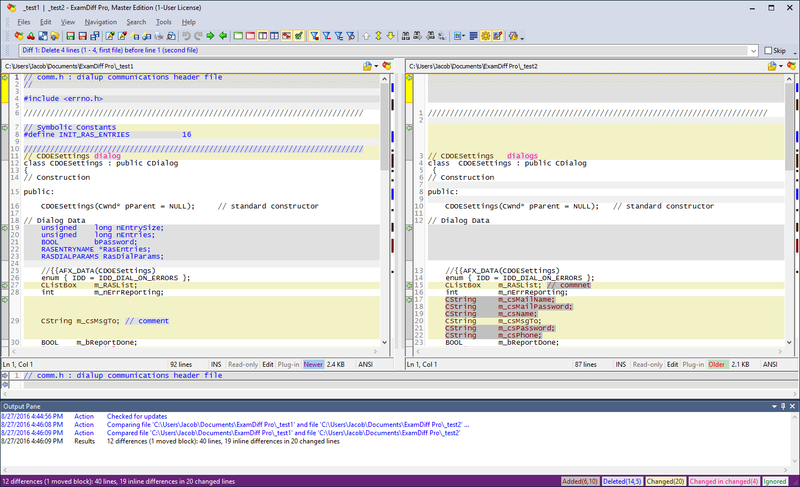 Among other information, the Output Pane displays error messages, completed actions, and other useful messages. 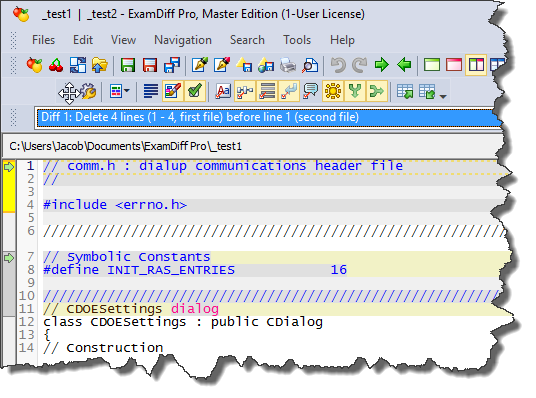 ExamDiff Pro's new logging feature will be discussed in further detail in a future blog. The Output Pane can also be moved and rearranged on your screen to suit your needs and preferences. By simply dragging the pane to any of the four sides or by selecting your desired side in the center of the screen, you can make the Output Pane quickly snap to any edge of the window. The Output Pane can also be made to automatically hide, float, or always hide, in addition to docking on any side of the window.